The era of extremely large telescopes is beginning. 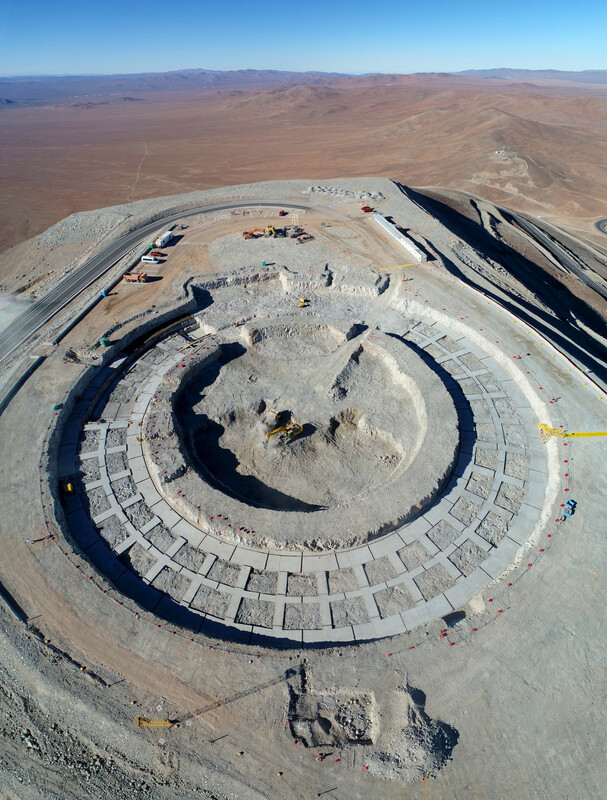 ESO's Extremely Large Telescope(ELT) is currently under construction in the remote Chilean Atacama Desert. The ELT will dwarf the already impressive VLT with its vast mirror at 39 metres in diameter! However, constructing a single, science-quality mirror of such a size is simply not possible — the ELT’s primary mirror will, in fact, be a complex honeycomb arrangement of 798 tessellated hexagonal 1.4-metre mirrors. 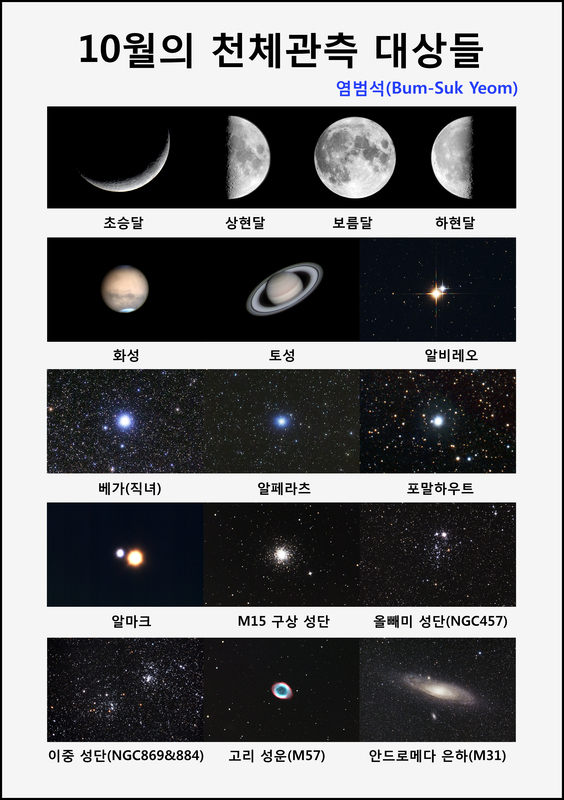 ELT(Extremely Large Telescope) 시대가 시작되고 있다. 유럽남천문대의 ELT는 현재 칠레의 아타카마 사막에서 공사가 진행중이다. 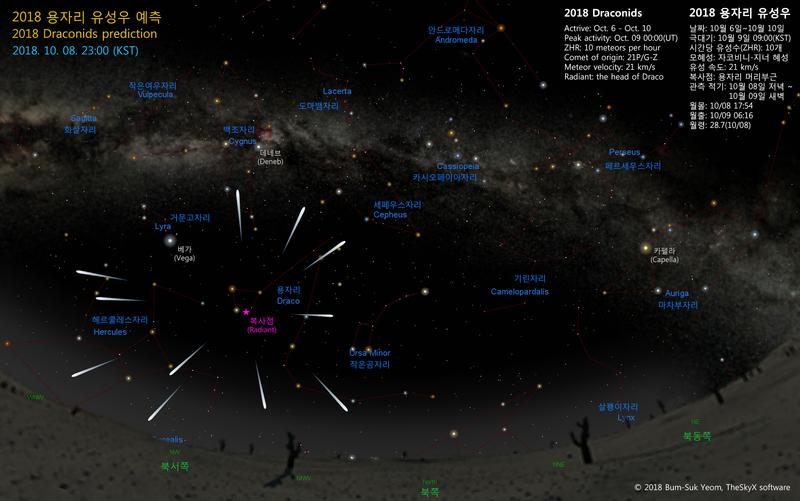 ELT의 주경은 1.4m의 육각형 거울 798개로 이루어진 직경 39m의 거대한 거울이다. New Simulation Sheds Light on Spiraling Supermassive Black Holes(SMBH). 동영상에서 블랙홀 주변의 가스(gas) 움직임을 보여줍니다. 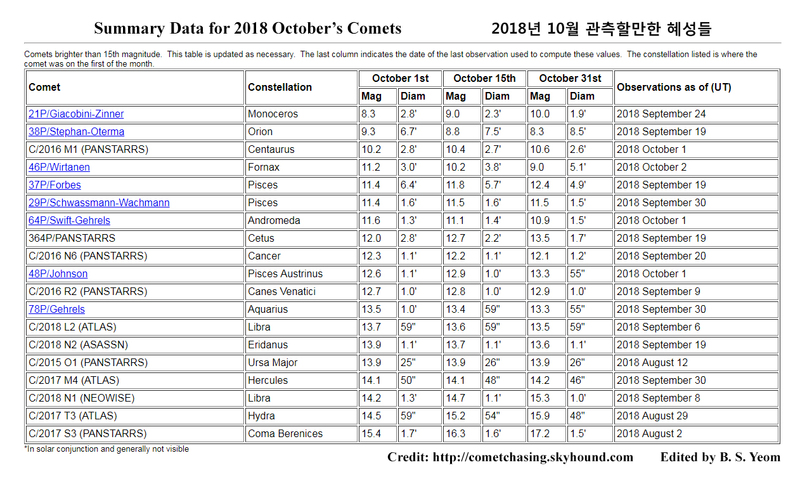 Summary Data for 2018 October’s Comets.